This morning’s mail will carry the official submission form of FORGOTTEN HERO to premiere at the Eugene International Film Festival in November. Most of you know I don’t usually put films in festivals; I’d rather get movies to you. However, the cast deserves an exciting world premiere. November is later than I had originally planned to release FORGOTTEN HERO, but premiering at the festival would be great publicity for the movie. There’s one catch: At the moment the film isn’t ready to be previewed. The official festival deadline is today. I wasn’t making this movie for the festival or to comply with their submission deadlines. The decision to enter the film was made yesterday. Since I’m mailing them the submission fee today but not a movie screener, I’m asking for your help in convincing the programmers to extend the deadline for us. 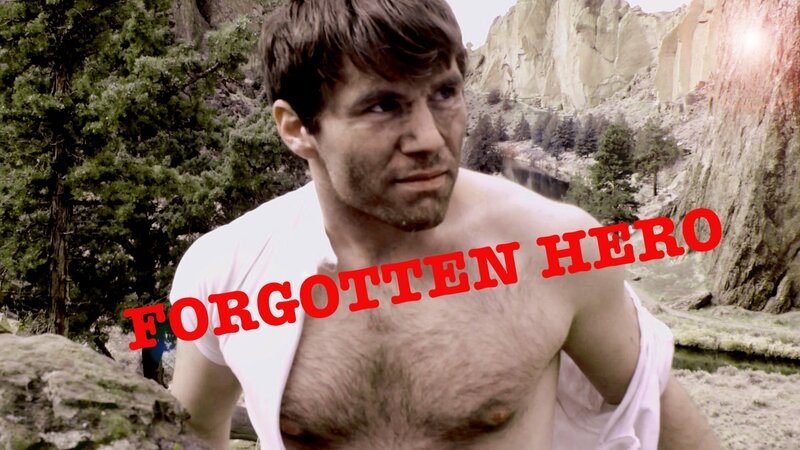 Can you send the festival director a short email in support of hosting FORGOTTEN HEROs World Premiere in November? Since we’re not going to make the festival’s official submission deadline today, a note of support from you would be awesome! As a long-time supporter of Paul Bright’s works I’m excited to hear about the possibility of the Eugene International Film Festival hosting the World Premiere of FORGOTTEN HERO. I’ve been following the film’s progress since its inception and am looking forward to seeing this movie. Please program FORGOTTEN HERO. I’d do anything to see this movie. We have nothing to lose, right? Just think how much buzz a dozen – or even several hundred – emails would generate in the festival programming office. It will only take you a minute to help and I definitely appreciate it. Yesterday I took a break from HERO to compile a Director’s Reel. Since I’ve been honored to work with so many amazingly creative people on these movies, it’s time to highlight some of their work. These scenes are some of my favorite dramatic moments. What other scenes from these movies do you think I should include?